We want to make sure you are getting exactly what it is that you are looking for! 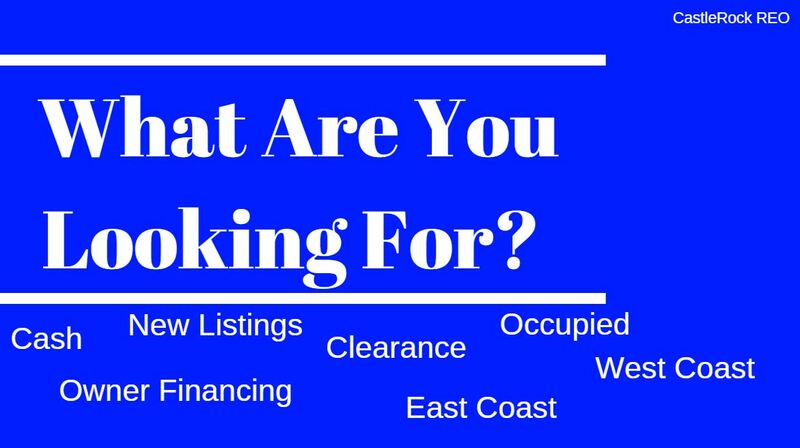 Whether you are a cash or an owner financing buyer, interested in our new listings, clearance properties, or maybe our newest option, occupied properties- WE HAVE IT ALL! Are you a Cash or an Owner Financing Buyer? Reminder: The best part is that we are NATIONWIDE! Click the state or states you are interested in below to view the inventory! Are you interested in New Listings, Clearance or Occupied Properties? No matter what it is or where it is, we have you covered! Our inventory is constantly growing! Keep an eye on our website for updates!